Nanjing University of Information Science & Technology (NUIST), founded in 1960 and renamed from Nanjing Institute of Meteorology in 2004, was designated in 1978 as one of the key institutions of higher learning in China. 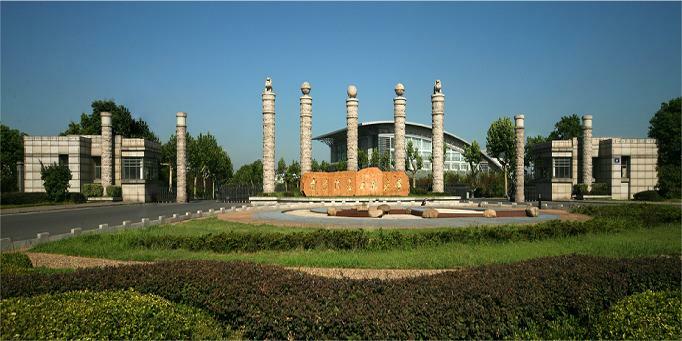 NUIST is a national-level key university co-constructed by the Jiangsu Provincial People’s Government, the Ministry of Education of the People’s Republic of China and the China Meteorological Administration (CMA). It is also co-established by the Jiangsu Provincial People’s Government and the State Oceanic Administration (SOA). NUIST has a complete higher education system with undergraduate, postgraduate, doctoral programs as well as post-doctoral research centers. The discipline of Atmospheric Science ranks No. 1 in the national discipline evaluation conducted by the Ministry of Education of China in 2012, which has great influence in the world. Currently, NUIST has over 30,000 undergraduates, more than 1,500 full-time teachers. There are more than 60 talents including Academicians, experts of the “One Thousand Talent Project”, Distinguished Professors of Jiangsu Province, Individual Experts of Programs of Innovation and Entrepreneurship of Jiangsu Province, as well as 10 outstanding teams including the National Teaching Team, the Innovation Team of the Ministry of Education (MOE) and Expert Teams of Program of Innovation and Entrepreneurship of Jiangsu Province, etc.. Almost 70% of the full-time teachers have doctor’s degrees and 54% of them have experiences of studying or working abroad. NUIST consists of 22 schools and colleges, i.e. School of Atmospheric Science, School of Applied Meteorology, School of Remote Sensing, School of Atmospheric Physics, School of Hydrometeorology, School of Marine Sciences, School of Information and Control, School of Electronic and Information Engineering, School of Environmental Science and Engineering, School of Computer and Software, School of Mathematics and Statistics, School of Physics and Optoelectronic Engineering, School of Public Administration, School of Marxism, School of Economics and Management, School of Languages and Cultures, School of Media and Art, School of Continuing Education, School of Vocational Technical Education, Binjiang College, College of International Students and Department of Sports as well as 20 provincial and ministerial scientific research institutions including the Collaborative Innovation Center on Forecast and Evaluation of Meteorological Disasters, the Collaborative Innovation Center on Atmospheric Environment and Equipment Technology, the first batch of international joint laboratory approved by MOE, i.e. the International Joint Laboratory on Climate and Environmental Change, Key Laboratory of Meteorological Disasters of MOE, the Key Laboratory of Atmospheric Physics and Atmospheric Environment Meteorological Disaster of the CMA, China Institute of Manufacturing Industry Development as well as the Academic Institute of Climate Change and Public Policy, etc.. Occupying an area of 140 hectares, NUIST now has a floor area of almost 679,000 square meters for various uses. The university boasts 27 experimental teaching centers and 2 of them are listed as the national demonstrations of experimental teaching centers, i.e. the Experimental Teaching Center of Atmospheric Sciences and Environmental Meteorology and Virtual Simulation Experimental Teaching Center of Atmospheric Science and Meteorological Information. With a total collection of 1.99 million paper documents and 36 databases and 58 sub-databases, as well as 1,680,000 electronic periodicals and 1,900 paper periodicals, the library of NUIST has the most complete literature on atmospheric sciences among all the universities in China. NUIST has a batch of key disciplines in both state and provincial levels and some brand and characteristic majors in China and Jiangsu Province. There are now 55 undergraduate majors covering the 8 main subject categories, namely science, engineering, management, literature, economics, law, agriculture and art. The master and doctor degree programs almost covering all the undergraduate majors. NUIST has established and effectively managed a disciplinary system of “macro meteorology”. The disciplines as Atmospheric Science, Environmental Science and Engineering and Sensor Network and Modern Meteorological Equipment have been approved in the first phase of the Advantageous Discipline Construction Program in Jiangsu Province. The subject of Meteorology ranks top in China and enjoys a distinguished reputation throughout the world. In recent years, on the basis of advantageous subjects, NUIST has established a harmonious discipline system of atmospheric science, marine science, information science, environmental science, management and basic science. So far, more than 70,000 students have graduated from NUIST. They win good reputations among the employers by their down-to-earth attitude and outstanding capability. Many alumni have become well-known scientists, scholars and senior management staff home and abroad. Among them, there are academicians of the Chinese Academy of Sciences, the Chinese Academy of Engineering, the Canadian Royal Academy of Sciences, high-ranking leaders in the government and senior officers of WMO. NUIST won the First Prize in National Teaching Achievements Award. The students won the only Special Award in National Mathematical Modeling Contest----“Higher Education Press Cup”, the First Prize in National University Students “Challenge Cup” Competition, the First Prize in the National Undergraduate Electronic Design Contest, etc..
NUIST attaches great importance to scientific and technological innovation. During the recent five years, NUIST has been actively taking part in more than 500 national programs including Program 973, Program 863, NSFC Program, National Social Science Fund Program, etc.. Besides, NUIST has also applied for over 1,250 patents. In 2014, NUIST was granted more than 100 National Natural Science Fund Projects and obtained science and technology funds about 412 million RMB. In recent years, NUIST vigorously promotes the commercialization of research outputs, industrialization as well as construction of the university science park. It sighed cooperation agreements and conducted meteorological equipment development with China Huayun Group, American I. M. Systems Group, Inc. (IMSG) and VAISALA Meteorological Measurements Technology Co., Ltd.. Hundreds of scientific and technological rewards both on national and provincial levels have been awarded to the university, including the Special Award and the first prize of National Award for Science and Technology Progress. In addition, international rewards like Award of Excellence of Scientific Achievement of SPIE, WMO NORBERT GERBIER-MUMM Award and Buchan Award of British Royal Meteorological Academy are also received. A number of research papers were published in the top ranked journals like Nature, Science, etc..
NUIST has established cooperative relationship with 48 famous overseas universities and colleges from 15 different countries including the Yale University, the University of Wisconsin in US, the University of Hawaii, Florida State University, the University of Oklahoma, Texas A&M University, the University of Manchester, the University of Reading in UK, the University of Toronto in Canada, the University of Hamburg in Germany. NUIST set up the Confucius Institute at the College of the Bahamas and was admitted to the programs of Chinese Government Scholarship, the Confucius Institute Scholarship and Jasmine Jiangsu Government Scholarship. To date, the WMO Regional Training Centre Nanjing at NUIST has trained over 2400 senior meteorological and hydrological personnel for 140 countries and regions and become the world’s largest training center with a top quality of WMO. Sticking to the guideline of open and collaborative development, NUIST will promote discipline construction, faculty development, talent cultivation, scientific research and international cooperation, to make NUIST a first-class key university in China.